Purple Castle: Harry Potter Nails and I missed YOU!!! I have been gone for long long time! 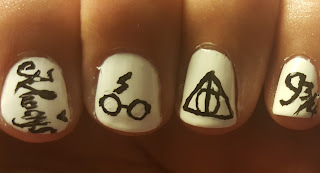 I have been keeping naked nails (not always) and I have a backlog of design that I never posted. I can't hardly believe it's been well over a year. 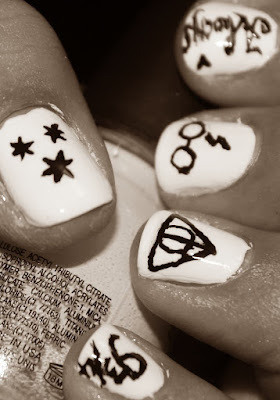 I don't know how many times I have read the Harry Potter books and/or how many times I have watched the movies. I'm a huge fan and these nails make me so happy!!! I know this one is blurry but I wanted you to see the "Always"
Awww, you are back, I hope to see more of you my friend! 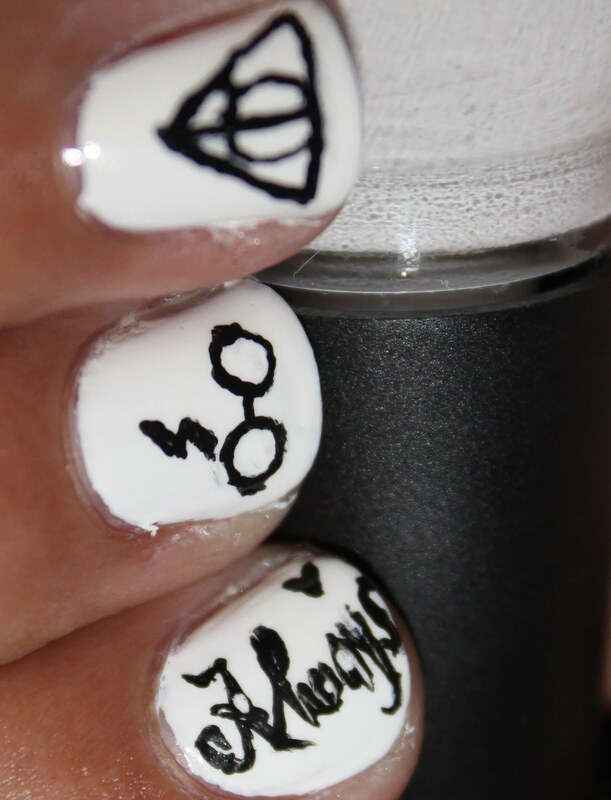 Yes I love Harry Potter so I am a fan of your mani! Hello! I would like to open cosmetology salon. Do you have an experience in this business? There are too many options in beauty salon equipment. Could you give me an advise? What companies are more reliable to buy Face steamer with high frequency and cavitation at home?